China is the cradle of tea. Originally Chinese ancestors treated tea as herb and they picked up tender buds from tea trees and chew it. Thereafter they boiled tea leaves in ovens and drank boiled soap. In about Tang dynasty (618 AD―917 AD), Chinese found tea can be kept not cankered by temperature heating and the fragrance will be stronger. This is the origin of stir fixation. In tea processing, fixing is most important procedure. By this procedure, activity enzyme in tea can be destroyed so that tea can be stored easily. There are many ways of fixing. Steaming is one of earlier ways. It appeared in Tang Dynasty (618 AD―917 AD). 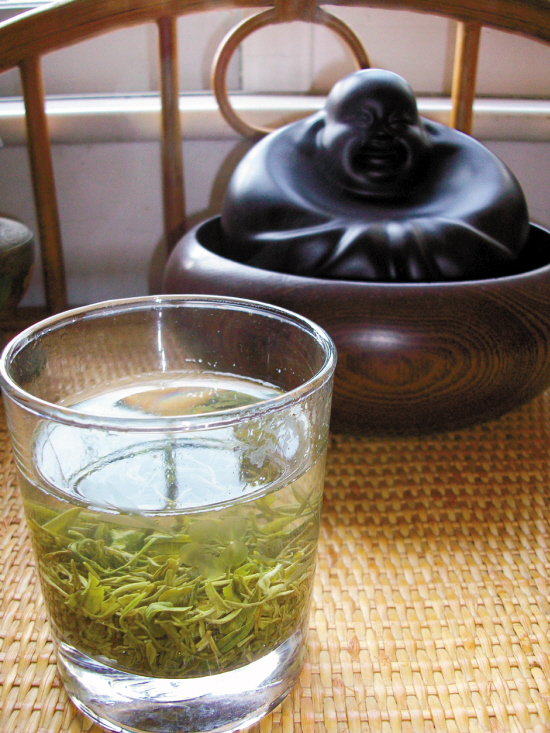 Steaming technique was spread to Japan thereafter and Sencha is still a popular tea of the time in Japan. Now the said Sencha is one sort of steamed green teas. Fresh storage, steaming, rolling (rough rolling, rolling, mid rolling and refined rolling) and drying. It’s easy to brew up and the nutrition is easier to be absorbed.